The day Ronaldo announced his retirement, every football fan in the World should take a minute of silence to show their respect for the Portuguese superstar. Hopefully, that day is still far away though... So who exactly, if anyone, can rise in this sport after Ronaldo? Before he reaches that phase, let's take a look at a top 10 of exciting players who could become the next Cristiano. There are few clubs present in the football world that know how to nurture a young talent like Barcelona's La Masia. Dinamo Zagreb signed Alen Halilovic back in 2012, after seeing the talent the Croatian teenager possesses. He was offered a five-year contract by the club where he played for two seasons before moving to Barcelona in 2014. 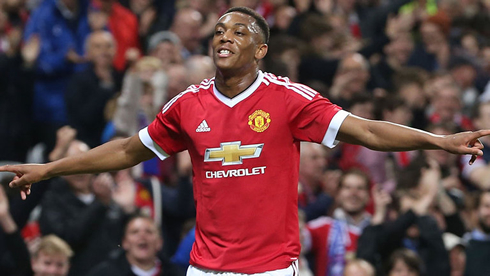 It is impressive what this 20-year-old player has managed to achieve at such a young age. Alen Halilovic is not only the youngest ever debutant for Dinamo Zagreb, but the youngest goal scorer as well. He is also the youngest player to play for his national team, Croatia. This shows how talented Alen really is. To get more first team appearances and opportunities, Halilovic moved to Hamburg in Germany last season, who have then loaned him out to UD Las Palmas for 18 months to gain experience. His talent, pace, trickery and playmaking ability could help him become the next Ronaldo in the football world. There are not many youngsters out there more coveted right now than Kylian Mbappé. The 18-year old is currently playing for AS Monaco, but he has been linked with multiple top clubs in Europe, including Real Madrid where he could eventually pair up with Cristiano Ronaldo in a dream attack. Everything about Mbappé is impressive, especially if we pay attention to how young he really is. At the age of 18 and in his second season for Monaco, the talented Frenchman scored 26 goals in 44 appearances and 6 of those were already in the big stages of the UEFA Champions League. Make no doubt about it, Mbappé is destined to greatness and he's our top pick from this list. Let's just hope he ends up signing for Madrid either in this summer or the next! Munir El-Haddadi is described as the next big thing in some quarters. He's not only another La Masia product who has impressed the football world but also one of the best young talents in the field. Munir had a great season with Barcelona in 2014/2015, where he wasn't only a part of the treble triumph with the team, but also debuted for Spain. For his age, El-Haddadi is an exceptional player who loves attacking, taking on defenders and going forward at every opportunity. This player likes to be involved more and more and as Barcelona looks to add players from the new generation, El-Haddadi could potentially become the next Ronaldo as well. Portugal had to wait a very long time to win a major international trophy for the nation. Cristiano Ronaldo and his teammates tried quite hard before finally winning the UEFA EURO Championship in 2016, by beating the tournament favourites and host, France. Despite not winning silverware for a long time, Portugal has produced some of the best talent in European football in the past few years. Eusébio, Luis Figo and Rui Costa amazed the football world with their talent and amazing performances. Currently, many kids across the globe look up to Cristiano Ronaldo as their role model, but it's a 22-year-old Portuguese talent who is now following the same footsteps as these great players and that's Bernardo Silva. 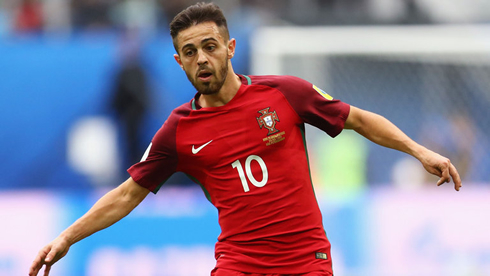 Bernardo Silva was the most impressive player for Portugal in the U21 European Championship in 2015 and recently moved to Manchester City. Silva was trained in the Benfica academy, then moved to Monaco on loan and finally on a permanent deal for £12m. He is currently a Manchester City player after Pep brought him to the Etihad stadium for the next season. The Belgium national team is known for producing some of the best talents in the world. Eden Hazard, Dembele, Lukaku, Alex Witsel, Kevin De Bruyne and many more are already part of the new golden generation of Belgian football. The latest addition to this golden generation is a 20-year-old named Youri Tielemans. Tielemans is known as one of the brightest and extremely talented young prospects in European football. 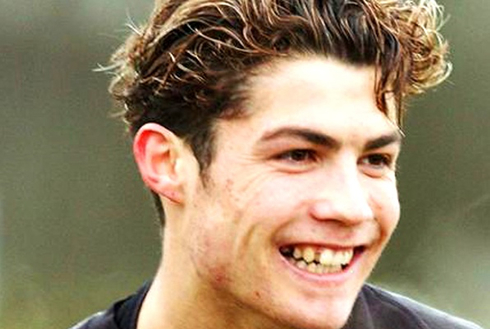 He is not only seen as a promising new talent, but has also managed to live up to this image. Youri has taken the world by storm ever since he stepped on the field. His talent can easily back these words up and compliment the current golden generation of world class and quality players. Youri's raiding forward runs, vision and passing while playing for AS Monaco shows a lot of potential. Anthony Martial has it all. Flair, quick forward runs, dribbling abilities and clinical finishing. Manchester United was ridiculed for paying £36 million for a player who has not yet proved his worth. However, his solo debut goal against Liverpool at Old Trafford showed his potential and how good he can become in the upcoming seasons in the Premier League, especially with José Mourinho at the helm. The Borussia Dortmund football academy is in line with the famed academies of Barcelona and Benfica. The club has produced some big talents such as Ilkay Gundogan, Mario Gotze and Shinji Kagawa in the last few years and emerging stars such as Ousmane Dembele and Emre Mor. The young American Christian Pulisic is another player who is making waves with his performances. The central attacking midfielder can operate on either of the flanks, as a winger or a playmaker. Due to his immense speed on the ball, Pulisic believes he can easily take on and beat defenders with pace and skills. His close control of the ball and low centre of gravity allows him to create space for the team and himself in tight areas. The football world was calling the name of Zakaria Bakkali as he became the youngest player ever to score a hat-trick in the Dutch league Eredivisie for PSV Eindhoven. At the age of 17, he set up the stage for himself and settled in the young PSV squad. He initially played as a right winger for Eindhoven. However, he can also play as a striker. Irrespectively of the flank where he plays on, he has the pace and skill to trouble any defender. Whenever he is played as a left winger, he loves to act as an inside forward that cuts back inside and unleashes a lethal shot with his stronger right foot. Bakkali featured 22 times for PSV Eindhoven before moving to Valencia in 2015. Andrija Zivkovic made history by becoming the youngest ever player to join the Serbian team in 2013. He was only 17 years old when he played in a 2-0 win against Japan. After impressing the national team, Zivkovic made his club debut with Partizan Belgrade just five months before his international bow. He was also the best young player in the Serbian team in the 2013/2014 season. Currently, he is one of Benfica's strongest weapons and with the right combination of skills and speed, he can become a true nightmare for defenders in the future. Martin Ødegaard is regarded as one of the best young talents and was signed by Real Madrid for 4 million Euros. He made his debut against Getafe and is now considered to be one of the most sought-after talents. 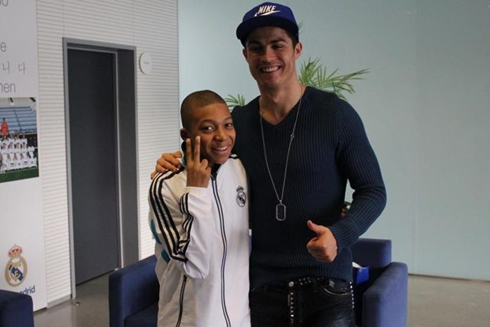 Playing on the same team as Ronaldo, he has the mind and skill-set to become the next top player in the world of football. Cristiano Ronaldo next game is a Confederations Cup game on June 28 of 2017 against either Chile. You can watch Juventus live stream, Chile vs Portugal, Germany U21 vs Spain U21, Sweden U19 vs Czech Republic U19, Sydney FC vs Arsenal, and Germany vs Mexico, all matches provided from our streaming football game pages.